The best horror films aren’t the ones that throw every jump scare at you, they’re the ones that explore and speak to the deepest, darkest facets of the human condition. Ari Aster’s debut feature, Hereditary is one of those horrors. It’s a film where a conversation over dinner gets your heart pumping as much as one of its brilliantly crafted moments of true sensory horror. To sum up the premise in the briefest way I can, as it’s best to go into the film as blind as possible; Annie Graham (Toni Collette) tries to navigate her way through some complicated feelings about her somewhat estranged mother’s death, while, alongside her husband Steve (Gabriel Byrne) tries to make sure their teenage boy, Peter (Alex Wolff) and their well… odd 13-year-old daughter, Charlie (Milly Shapiro) are coping. The whole family’s complex relationships and history with one another begin to show and things get pretty screwed up (to put it lightly). Aster, a filmmaker who put himself on the map in 2011 with his utterly disturbing gut-punch of a short film; The Strange Thing About The Johnsons has added to his repertoire of unforgettable and severely dysfunctional on-screen families. Hereditary, by and large, is an exploration of the grief, guilt and resentment towards one another, that is felt when something horrible happens to a family member. Aster’s direction and script effectively navigates these concepts in a way that is at times loud and insane, but also very human and (often disturbingly) emotionally authentic. He understands that true horror is human and more about the dread and agony of a situation than a mere jump scare. The film’s truthful emotional core is bolstered by Toni Collette’s Oscar-worthy performance. It’s such an unbelievably complex and emotionally wild role to pull off, which from a lesser performer could’ve come across as incredibly cheesy, but Collette throws herself in the role with such bravura, that she truly anchors the film’s heft and is truly is something to behold. The rest of the cast is also great, with Milly Shapiro, being effectively creepy without ever feeling like a caricature, Gabriel Byrne as the father trying to bring a calm presence to the household, despite everything being anything but calm and Alex Wolff who deserves a special mention. His performance is so brave for an actor of his age, showing genuine vulnerability in moments of true ungodly terror that most actors could only dream of pulling off. While the film has some minor pacing issues (the film clocks in at 127 minutes) and some scarce tiny flaws, it’s all nit-picking. 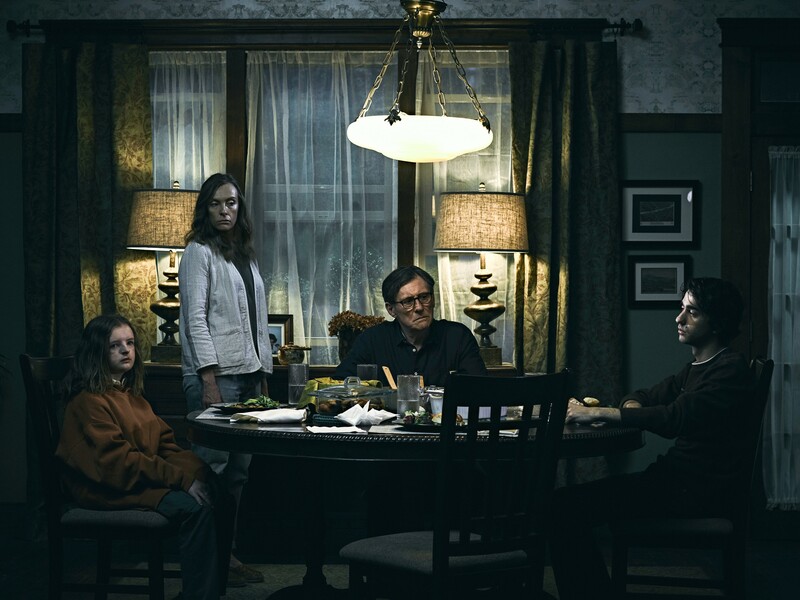 Hereditary is one of those rare horrors that is as concerned with terrifying you greatly in the cinema as it is with lingering in your mind long after watching it. It’s an unforgettable and relentless experience, led by Toni Collette, in the performance of a lifetime and the filmmaking genius of Ari Aster, who is destined to go places. What a truly twisted, brilliant film. An instant horror classic. Previous ArticleHow To Avoid Social Ostracization In The Month of June: A Noob’s Guide to The FIFA World Cup.